As a candidate for elected office, unless you are independently wealthy and self-funding your campaign, you need to raise money. 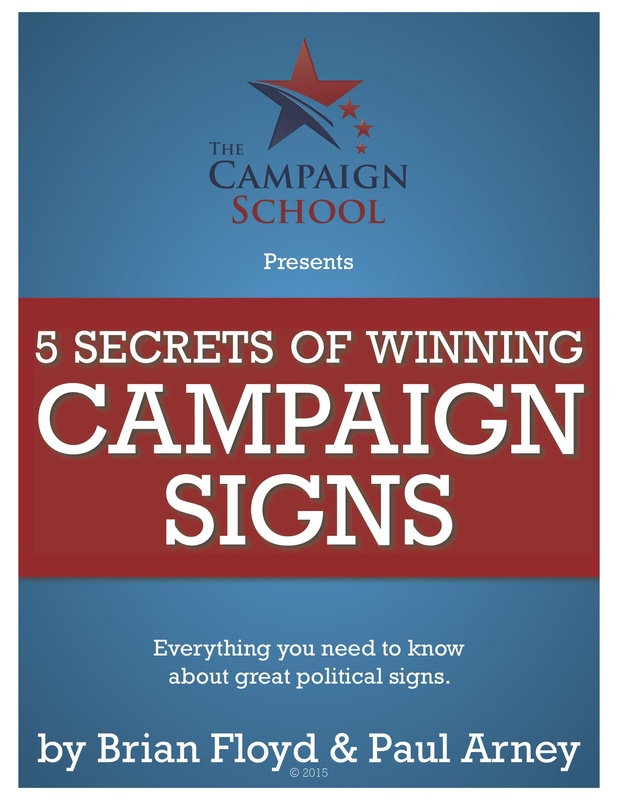 Signs, mailers, phone calls, polls, Facebook ads, you name it, they all cost money. But you can’t raise the money you need without asking for it. Now before going further, let’s get one thing out of the way. You can’t be afraid to ask for money for your campaign. If you’re going to raise the cash to be competitive, you need to put aside any fear or uneasiness you have about asking people for money. Remember, you’re not asking for the money for yourself. You’re asking for the money to better your community. With that covered, here’s the five ways you can ask people for campaign contributions. The best way to ever ask a potential donor for money is in person. This is the most professional way to do it. It demonstrates that you respect the person you are asking money from and view them as something more than just a check book. Anytime you don’t personally know the person you are requesting a contribution from, you should do everything you can to meet them in person. Meeting in person can take place at their office, at a coffee shop, or even over lunch. I recommend going to their place of business or meeting up for coffee. Both you and your potential donor are busy so those settings typically keep the meetings from going too long. Lunches often go an hour or more, hence burning more precious campaign time. One of my most successful clients, three-term Riverside City Council-member Chris Mac Arthur is incredible at in person fundraising and offers this advice on fundraising. Direct mail is not only a great way to connect with voters while you’re campaigning, it’s a great way to communicate with potential campaign donors. You can send out fundraising invitations to events your campaign is having. Invitations to fundraising events are a great way to raise your name identification among potential donors. You also demonstrate your value as a candidate by listing prominent endorsements and financial supporters on an invitation. This can encourage contributors as donors like to know there are others backing a candidate. You can also mail letters specifically asking for contributions. Such a letter needs to make a very clear case for why you’re running and what you’re going to do. If that isn’t in your letter, you haven’t made a compelling case for anyone to donate to your campaign. If you do send out a fundraising letter, be sure to include a remit envelope so people who wish to support you can easily mail a check to your campaign. Asking for money works best when you already know the donor. After you have met someone and have developed a rapport with them, you can ask for a contribution over the phone. If you do not know the person and are making a cold call to them, it’s best to use the call to introduce yourself and request an in person meeting. Phone calls are also a key component to raise money for a fundraising event. You can call donors you know and ask them to serve as hosts or sponsors of your event. This comes with a clear financial commitment that gets them listed on the event’s invitation. Making calls after invitations are sent out is also something you must do. A few days after the invitations are mailed out, you need to call the people you sent them to. Invitations raise awareness of your campaign and your event, it does not guarantee a donation or successful event. Following up with a phone call to invite the potential donor and secure a commitment is essential to ensure your event is a success rather than a dud. Most of us use our phones to send text message as much as we make actual phone calls. Some of us actually use our phones primarily as a means of sending texts while making very few calls. Never never never ask for a contribution in a text message! Sending a text to ask for money is rude, unprofessional, and downright lazy. Don’t do it even if you are best friends with the potential donor. A couple of years back I was sitting with an extremely successful business owner when he received a text. A look of disgust fell across his face and he showed me the message. A candidate that he had never given money to and had only met once had sent him a text asking for a several thousand dollar contribution. Needless to say that candidate didn’t receive a penny let a long a reply to his classless text message. The best person to hit up a donor for a political contribution for a candidate actually isn’t the candidate. It’s another donor. Having a major donor serving as your campaign’s Finance Chair is great idea for any campaign. Your Finance Chair usually knows other donors and can ask them directly for contributions to your campaign. A donor acting as your Finance Chair can set up in person meetings with potential donors you should meet and ask for money. Such introductions are highly valuable, as the donor you’re meeting is far more likely to give your campaign money since they are there at the request of the Finance Chair who is likely a peer of theirs. Finance Chair’s can also author fundraising letters and make phone calls on your behalf. First time candidates can benefit from this as it will definitely raise their visibility among the donor community, which will help them raise money. One of the best ways a major donor can help you raise money is by setting up small events with ten to fifteen other potential donors. This can raise your campaign a good amount of money really fast, as I outlined previously in How to Raise $10,000 for your Campaign in 90 Minutes. You can also raise money through email solicitations. This is a very common practice for candidates running for the Congress, a governorship, and the presidency. It can also be utilized for candidates running for local offices and down ticket races. The key is to send out campaign emails on a regular basis, two to three times a week. Not all of your emails should be to raise money, but every email should contain a link for people to contribute money. Email fundraising requests should be very specific and tell the compelling reason for why people should give money to your campaign. It’s just like a fundraising letter, with the only difference being that people can click to contribute rather than mail your campaign a check. You must be careful when sending out emails to raise money. You don’t want to send those emails out to just anyone. You want to limit it to donors, potential donors, and committed supporters. There’s no reason for a regular voter to give you money unless they are committed to supporting you. Hitting up a voter who has not decided to support you for money is a quick way to send them over to your opponent. The first and last thing you want from a voter is their vote. If you definitely have their vote, you can ask them for money. If a voter is not 100% behind you, your job is to turn them into a committed supporter, not a donor. A candidate asking for a vote and for money is going to come off like a greedy politician out for themselves, not the greater good of the community. Regardless of how you ask a potential donor for money, you need to do it. These five ways are proven to work. And here’s something even better — once a person contributes funds to your campaign, they are far more likely to contribute to you again, either in your current campaign or in a future one. Therefore you must always treat your donors with respect and value them for the assistance they’ve given your campaign. The best and easiest way to do this is to send them a personalized thank you card. Thank you cards go a long way in cementing and building relationships. Donors appreciate the courtesy and the little amount of time you spend writing and sending them can pay off for years to come, especially when you’re asking them for money.